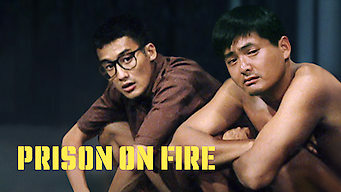 How to watch Prison On Fire (1987) on Netflix Taiwan! Yes, Prison On Fire is now available on Taiwanese Netflix. It arrived for online streaming on December 30, 2018. We'll keep checking Netflix Taiwan for Prison On Fire, and this page will be updated with any changes. Two inmates with complicated pasts become buddies behind bars, but get caught up in the prison politics involving shady cops and gangsters. An inmate alliance. A ruthless prison guard. Incessant threats. The only way to make it out? Surviving inside.